The Seahawks plan to hire former UW strength and conditioning coach Ivan Lewis as their new strength and conditioning coach replacing the fired Chris Carlisle, according to a report Tuesday night from Rivals.com. One source told the Seattle Times nothing is official yet but could become official in the next day or so, and confirmed that Lewis and the Seahawks are talking. Lewis has familiarity with Pete Carroll, having worked at USC from 2006-08 as an assistant under Carlisle. 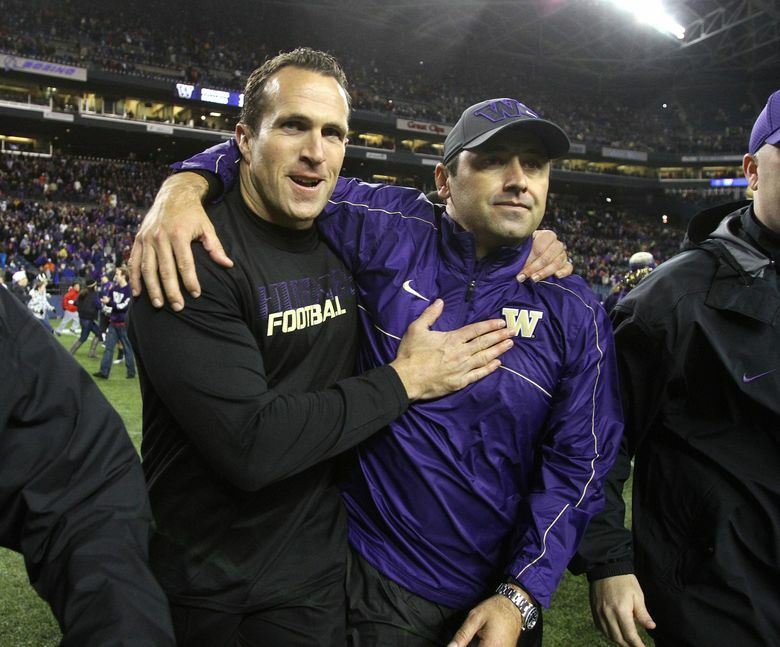 He followed Steve Sarkisian from USC to UW to head the Huskies’ strength and conditioning program for five years before returning to USC when Sarkisian got the head coaching job there. Lewis remained at USC as head strength coach after Sarkisian was fired and has worked there the past five seasons. Now he is apparently returning to Seattle to replace his mentor Carlisle, who was fired along with three others in the Seahawks’ training staff last week. Carroll has not commented on the firings. The 40-year-old Lewis has lots of Pacific Northwest ties, having attended Idaho, and then getting his start as an assistant football coach and strength and conditioning coach at Mt. Si High School in 2000 and 2001. He then worked for two years at the University of San Diego and then two years with the Chargers in 2004-05 before being hired at USC under Carroll where one of his specific assignments was to work with the team’s quarterbacks, who were coached by Sarkisian. In a 2009 profile in The Seattle Times, Lewis talked about how a trip to the UW training room during his time at Mt. Si spurred his decision to get into athletic training. He also talked of the suicide of his younger brother, Ryan — who had battled depression for years — only reinforced that he wanted to work with in a field where he felt he could help shape lives for the better. During his time at UW in 2011 Lewis also helped some of the Seahawks train while players were locked out of NFL facilities. And in 2016 Lewis did some offseason work with Seattle QB Russell Wilson.